Marcelo Bernardo | Applied Financial Planning, Inc.
Mr. Bernardo is an independent LPL Financial Consultant with over twenty years of experience offering strategic counsel to clients on a wide variety of financial topics including retirement planning, tax-efficient investing and wealth transfer. He is well-versed in certificates of deposits, stocks and bonds, mutual funds, closed-end funds, wrap accounts, fixed and variable annuities, life insurance, and college savings plans. Prior to joining Applied Financial Planning, Mr. Bernardo honed his investment skills with some of the largest financial institutions in the country. Mr. Bernardo expertly managed hundreds of clients with millions of dollars in client assets. His in-depth understanding of clients’ financial needs, goals and lifestyle aspirations enables Mr. Bernardo to prudently implement tailored investment and tax strategies. A graduate of California State University, Fullerton, he earned a bachelor’s degree in Business Administration with an emphasis in Finance. Mr. Bernardo was born in Argentina and is proud to be a United States citizen. He speaks Spanish and enjoys wine tasting with his lovely wife, watching his step-son play club soccer, hiking with his step-daughter and competing on the Golf Channel AM Tour. He is a member of Saddleback Church in San Juan Capistrano. 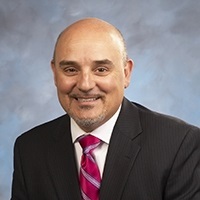 Mr. Bernardo is an independent LPL Financial Consultant with over twenty years of experience offering strategic counsel to clients on a wide variety of financial topics including retirement planning, tax-efficient investing and wealth transfer. He is well-versed in certificates of deposits, stocks and bonds, mutual funds, closed-end funds, wrap accounts, fixed and variable annuities, life insurance and college savings plans. After carefully listening to clients' financial needs and objectives, he develops a customized investment portfolio that reflects their unique goals and risk tolerance. Mr. Bernardo is adept at working with diverse clientele managing portfolios for individuals, business owners and retirees with income and tax planning needs. Prior to joining Applied Financial Planning, Mr. Bernardo honed his investment skills with some of the largest financial institutions in the country. Mr. Bernardo expertly managed hundreds of clients with millions of dollars in client assets. His in-depth understanding of clients' financial needs, goals and lifestyle aspirations enables Mr. Bernardo to prudently implement tailored investment and tax planning strategies. A graduate of California State University, Fullerton, he earned a bachelor's degree in Business Administration with an emphasis in Finance. Mr. Bernardo was born in Argentina and is proud to be a United States citizen. He speaks Spanish and enjoys wine tasting with his lovely wife, watching his step-son play club soccer, hiking with his step-daughter and competing on the Golf Channel AM Tour. He is a member of Saddleback Church in San Juan Capistrano.